The Middle East, and more specifically the Gulf Cooperation Council (GCC) members Bahrain, Kuwait, Oman, Qatar, Saudi Arabia and the United Arab Emirates, have transformed in ways that would have sounded like a utopian vision 30 years ago. From a nomad, underdeveloped economy that arose as a result of limited arable land and harsh climate, the entire region suddenly awoke with a big boom after the discovery of one of the world’s greatest deposits of oil and gas, just at the time when the world grew hungry for it. The UAE, one of the most iconic GCC countries, raised its GDP from $40.6 billion in 1985 to $647.8 in 2015, increasing its output by a staggering 1,596%. Everything this good; however, cannot last forever. Latest since 2008, countries in the Gulf have become painfully aware of that their economies are heavily depending on oil revenue to keep the economies afloat. Suddenly budget surpluses turned into deficits and the leaders of these countries are now looking for ways to avoid having their golden economies collapse like a house of cards. Doing this is not an easy task. Countries like Saudi Arabia, which has until recently largely subsidised many commodities, is trying to cut back on expenditures. Bloomberg reported earlier this year that many Saudi citizens still demand that gasoline, electricity and water to be subsidised by the government. But having to find a balanced way to cut spending without chocking the economy and fuel a public uprising is just one of the pillars that will determine the future of the region. The other big challenge is to diversify the economies. While the UAE and Qatar are the regional leaders in attracting foreign investment and are hosts to several regional and global corporate headquarters, a disproportionally large amount of their income still comes from oil. This is partially the result of the 2008 financial crisis that brought progress globally to an abrupt halt, but, has in turn, also heightened the public’s awareness of this issue. The governments have already worked for some years to reform their laws to be more accommodating to foreign investment, have poured billions of dollars in new infrastructure projects, and have worked tirelessly to promote the region as a progressive, business-friendly and safe destination. With continents that have traditionally been the centre for commerce seeming to stumble from one set-back to another, this strategy is likely to expedite economies away from oil. What also has made a tremendous impact over the last decade is the increase of tourism to the region, with the rise of the Gulf air carriers having played a contributing role. The UAE, and more specifically, Dubai, seem to be the one that comes to mind; however, other members in the region have developed their own tourism products and are catering to specific segments of travellers. 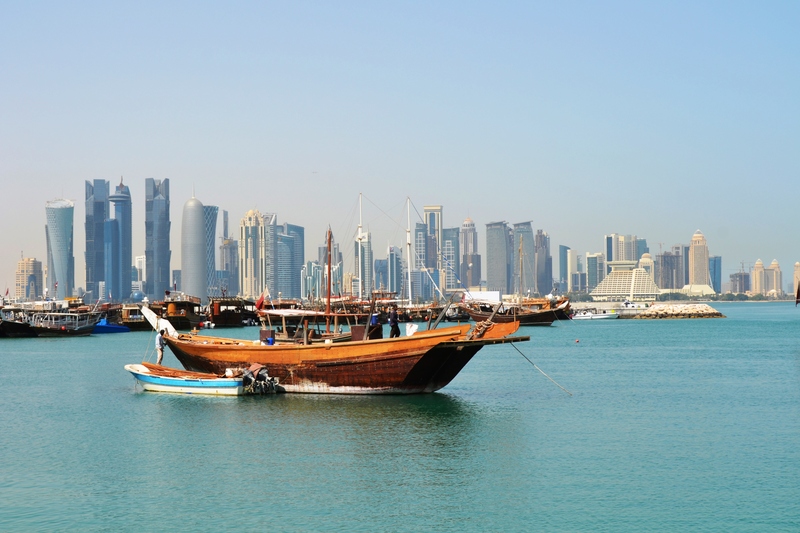 Qatar has largely been a hub for MICE (Meetings, Incentives, Conferences and Events), Oman for cultural and leisure holidays, Saudi Arabia for religious tourism, Bahrain for regional travel, and Kuwait specialising on corporate travel. Even in this sector, tourism authorities are developing ways to broaden the countries’ tourism portfolios. What appears is that oil will remain the core of the region’s economy for some years to come; however, the steady growth in alternative industries is the engine that will steer the GCC into the future with job opportunities opening up across all industries. If you want to be part of the exciting future of the Gulf, visit www.unicaf.org for your opportunity to reach your full potential and become a business leader in the region.